﻿As many of you may have seen by now, the internet has been over-run with rumours and speculation about a title which recently popped up on Netflix: Jurassic World: Camp Cretaceous. Now, our friends over at both Jurassic Outpost and Collect Jurassic have already done a fantastic job covering this news – so I didn’t want to just jump in on the train late and provide you with information which is already out there. No. Instead, I thought we would talk a little bit about the potential for Jurassic on television – and maybe explore some of the story threads and extra canonical details which we think could make for compelling stories on the small screen. So, without any further ado, let’s explore a little bit more about what ‘Camp Cretaceous’, and television in general, could mean for the Jurassic World franchise. One thing which both haters and fans of Jurassic World: Fallen Kingdom agree on is the fact that John Hammond’s best friend and partner in the original Jurassic Park venture, Benjamin Lockwood, seems to have appeared out of nowhere. He is not referenced anywhere within the original trilogy of films – with both The Lost World: Jurassic Park and Jurassic Park III taking place without any mention of Benjamin or his legacy as co-creator of the original park. Now, whilst we all know that this is because he was never intended to exist during the original stories, that doesn’t mean that there is not now scope to explore a little bit of that within a small screen adaption. Whilst I doubt much, if any, of Jurassic World 3 will be spent in flashbacks – a Netflix original would certainly be an interesting way of allowing us to explore the legacies of these characters and their relationship. Fallen Kingdom does give us quite a bit of context for what stories we could explore here – particularly when it comes to Lockwood and Hammond’s early creation of dinosaurs within the Lockwood Manor basement. Seeing this familiar location brought to life once more would be incredibly fitting – providing us with interesting prelude to the prominence of the location within the latest film – as the location which ultimately unleashes dinosaurs upon the planet. Needless to mention, as well, is the fact that this would also be an interesting vessel to revisit Isla Nublar one final time – giving fans who were upset at its destruction in the latest film the opportunity to revisit and say farewell to familiar and iconic locations. This short small-screen production could be the perfect nostalgia-filled piece to fill the void between Jurassic World Fallen Kingdom and Jurassic World 3 – and could provide us with one final opportunity to revisit long lost characters and locations. Another exciting concept is the idea of potentially exploring the fallout of Jurassic World Fallen Kingdom on the small screen – something which could lend itself quite nicely to a more serialised format. Not only do we now have dinosaurs out in rural California (and possibly further afield), but we also have the science out there. The technology. Across the globe – everywhere from Moscow to India and further afield. And that, I feel, provides a lot of potential for interesting story telling in and around the plot of Jurassic World 3. Say, for example, in JW3 our story focuses on Owen and Claire tracking down Blue and Doctor Wu to solve a problem or to potentially relocate the dinosaurs to the Sanctuary Island we see teased within Fallen Kingdom. This would be an exciting storyline and something which I could see JW3 excelling with, but there is no way that a film which is roughly two hours long would be able to cover all the dinosaurs being rounded up and sent to the island. So, the best format would be a serialised series. The next one is probably a little bit unexpected – but I think a serialised version of Tess Sharpe’s The Evolution of Claire could also be a hit for Netflix and Universal Pictures if handled correctly. As is self-explanatory, a novel is already divided into Chapters and so lends itself quite nicely to television as it is. Combine that with the fact that Evolution of Claire is a fundamentally Jurassic story, and I think you have the makings of an incredibly nice story which could explore the beginnings of Jurassic World. There would be the potential to revisit characters like Simon Masrani and Dr Henry Wu – spending far more time with them in episodes of the show then we ever get to in either of the Jurassic World movies. And we would also get the opportunity to experience the slower-paced moments which are often not seen within the Jurassic films – such as the sequence with Pearl the Brachiosaurus. Whilst Jurassic has its fair share of slow and tranquil moments (Think Sick Triceratops or Apatosaur Valley), I still think a show would provide a greater opportunity to explore moments like these at a much more rewarding pace. Plus, who doesn’t want to see more of Jurassic World in action, right? Lastly, we have one of the greatest Jurassic story threads of all time – the infamous specimen-can which Dennis Nedry died carrying. Whilst it would be incredibly hard to continue the story with a character like Lewis Dodgson considering the numerous issues with the actor (which we won’t touch on here), it could be interesting to see another team from the Biosyn company attempt to return to Isla Nublar to recover the lost embryos – or some other form of technology from the island. I can imagine a story which borrowed elements from Jurassic Park: The Game, including the idea of rogue mercenaries and individuals returning in a bid to recover items and make a quick pay-day. Plus, there would be interesting opportunities to greater explore the island – perhaps looking at things like Nublar’s tunnels, which Fallen Kingdom set-designer Andy Nicholson hinted may have been there since the 1993 days. There is a lot of time between our first visit to Nublar in 1993, and then our return in Jurassic World – and whilst a lot of this is covered within the viral marketing created by the team at Chaos Theorem, I still think that there is ample opportunity to place stories like this somewhere within that gap. There is a lot to love about the heritage of this series – so I will never be opposed to revisiting those memories and locations in one form or another. To conclude – Camp Cretaceous poses some incredibly exciting ideas for Jurassic fans. What could this series be? Where and when will we explore? Or is it something else entirely? 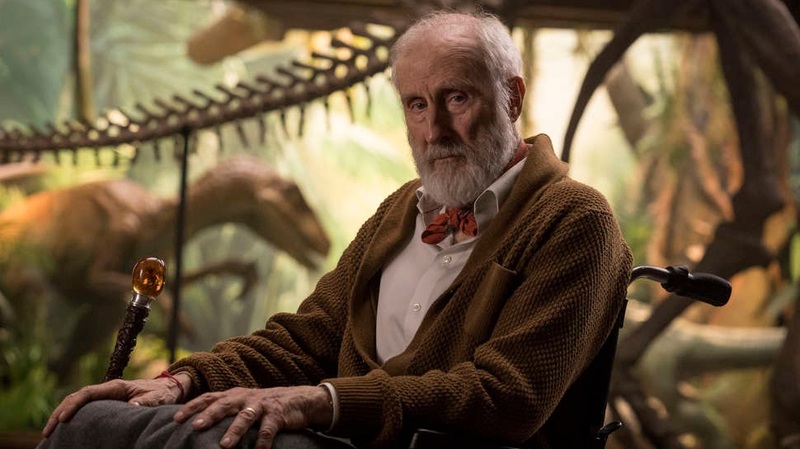 Whatever Camp Cretaceous may be, it makes us consider the potential that Jurassic as property has for television and for the small screen – and that is something which I think is not only incredibly exciting, but which has a lot of potential too. So, I pose the question to you now. 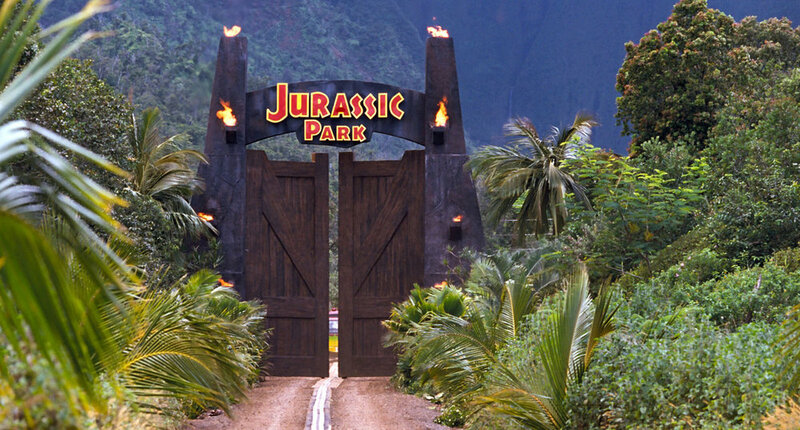 What would your dream Jurassic television show be? 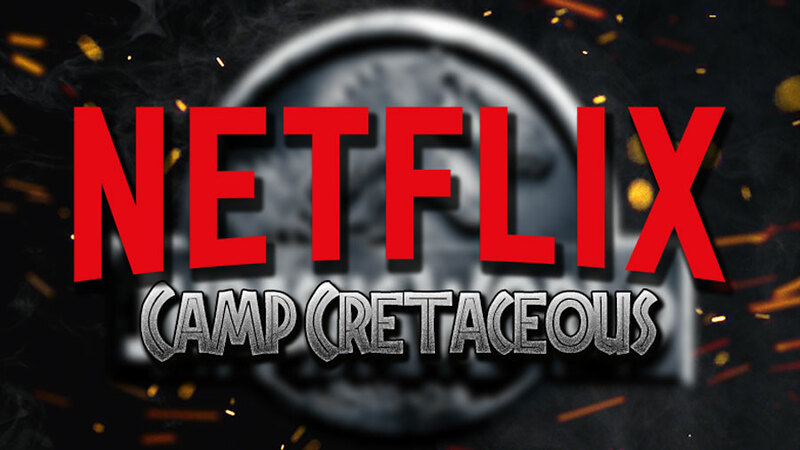 Let me know in the comments below, and stay tuned for more news on Camp Cretaceous as and when we have it!